Our city continues to grow and expand. The addition of grocery stores helps establish a community, which we are seeing at Downtown Crossing’s Millennium project. Now those future residents can really live and work without relying on their car for milk, bread and batteries for the next Nor’easter. 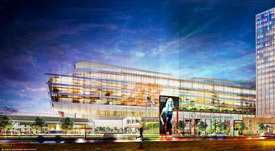 “Massachusetts-based grocery store chain Roche Bros. will open its first downtown Boston location in late 2014…Roche Bros…[joining] advertising firm Arnold Worldwide as the first tenants of the new tower, and will move in by September 2014,” a BBJ article covering the Millennium Project’s future tenant, reports. For more information on the announcement, continue on to the full article on the Boston Business Journal. 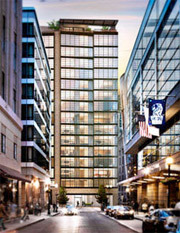 Additional details about the property are available on our residential website: Millennium Project in Downtown Crossing. Rents are up and vacancy is down; this is a good sign for landlords, but not as beneficial for the tenants. Value options still exist in the low rise Class A space and Class B space, particularly within second generation space. The banks are coming the banks are coming! It’s true; smaller suburban banks have been expanding their retail presence along with offices to service their city customers. The current population is about 636,479 which is up by 1.8%. More food choices are headed to Back Bay, including Nantucket restaurant, Lola 41, owned by Marco Coelho. 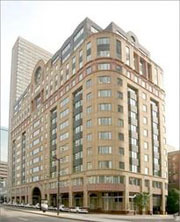 Lola 41 is moving towards an agreement on a location at 50 Gloucester St. in Boston’s Back Bay. According to the Boston Business Journal, “a restaurant called Ambrosia on Gloucester was recently reported to be opening at 50 Gloucester St,” however, the sushi, seafood, and burger restaurant from Nantucket apparently got the location. 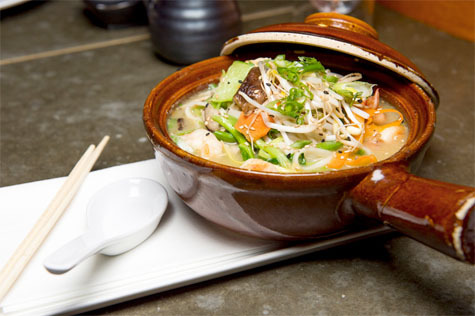 More details on the restaurant and its new location are available on the BBJ. If you’re excited for the new restaurant and want to check out office space available in the area, continue on to view our Back Bay offices for lease. 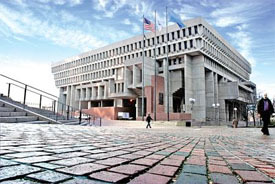 So, politics aside should the city sell city hall for redevelopment? Personally I am in favor of this and not simply based on economics. The standards that are available in the construction industry far surpass available options of ‘67, how we use space has evolved, and we have learned to do more with less. The mayoral race seems to still be very crowded, but this got my attention. Downtown Crossing is set to host the groundbreaking ceremony for the Filene’s Tower. This area of the Financial District has seen a large influx of Class B tenants over the 1st of ’13 that has driven pricing up to the low $30’s PSF within that segment. 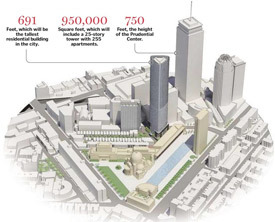 “Plans for the $615 million Millennium Tower and adjacent Burnham building, the original Filene’s store, include 600 condominiums and apartments, up to 218,000 square feet of office space and 231,000 square feet of retail,” a Boston Business Journal report states. 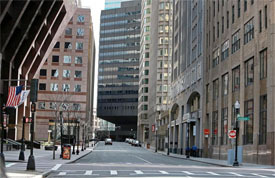 The full BBJ article is available on its website: Construction set for Filene’s in Downtown Crossing. If you box and like yoga, Boston’s Innovation, Seaport, and Fort Point Channel has something for you: Boxing Yoga. I must admit, I do neither of those two activities. George Foreman, III, however, will be offering class at 15 Channel Center starting in December. 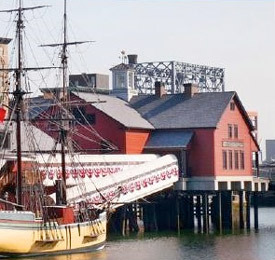 Does this look like your parking space in the Seaport? 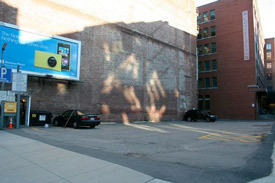 If so, this could be home to a new condo project, and gone would be the surface-level parking near the Boston Children’s Museum.